It is common to experience some discomfort for a few days after placement and adjustments, and this often makes eating uncomfortable. We recommend using the bite wafers we provide first, then over-the-counter pain relievers such as Tylenol or Advil if that is not helpful. You may want to start your first dose before your office visit, and then follow up after your visit, to maximize the effects. As for eating, stick to soft foods whenever your sensitivity is high. Avoid ooey, gooey, crunchy, chewy foods at all times during orthodontic treatment. This is not an emergency, but if it persists, please give us a call during normal business hours to schedule an appointment. Especially when braces are first placed (before your mouth adapts to their presence) you may experience some irritation on the inside of your cheeks or lips. We recommend keeping orthodontic wax on hand to apply to your braces. It may help to dry the area first with a paper towel. Don not worry about swallowing the wax; this is common during eating and is harmless. If any sores develop, use topical anesthetics like Orabase or Orajel to temporarily numb the area. Swishing with warm salt water will help alleviate the tender areas as well. Occasionally a piece of arch wire may come out of place and the end of it can poke the inside of your mouth. If this happens and our office is closed, use a clean pencil eraser or other soft implement to push the wire flat against your teeth. You can also use orthodontic wax to cover the sharp end of the wire. We are happy to provide you with orthodontic wax at your next visit or during normal business hours; however, if this occurs on a weekend or holiday, orthodontic wax is available for purchase at your local drug or grocery store in the toothpaste aisle. As a last resort if our office is closed, you can clip the wire yourself with a pair of clean nail clippers; however, if you do so, disinfect them first with rubbing alcohol. Use a cotton ball to completely surround the end of the wire to catch the loose piece. This will help make sure to avoid swallowing the clipped piece of wire. This is not an emergency, but if it persists, please give us a call during normal business hours to schedule and appointment so we can clip the wire for you. Sports, gooey, & hard foods are the usual culprits behind a loose bracket. Our recommendation is to wear a mouth guard during athletic activities and to avoid gooey and hard foods. However, if a bracket does come loose, you can use disinfected tweezers to move the bracket back into place. If necessary, apply orthodontic wax. If the bracket falls off, please place it in a baggy and give us a call the next business day. Please call during normal business hours, as this is not an emergency. If a band around one of your back teeth loosens, please give us a call during normal business hours to make an appointment. In the meantime, you may place orthodontic wax to keep it from moving. It is important for your orthodontic treatment and your overall oral health that the band be secure to your tooth. This is not an emergency. If a small elastic (rubbery) ligature (the piece that attaches the arch wire to the bracket) comes partially or all the way off your braces, use a pair of disinfected tweezers to put it back into place. If a ligature is lost or you are unable to reattach it, please give our office a call to schedule an appointment. This is not an emergency. If you have a Rapid Palatal Expander (RPE), and it comes loose or falls out of the mouth, make sure to keep appliance fitting by placing it back on teeth at least 2-3 times a day. The reason it to keep space from closing between the teeth. Please give us a call during normal business hours to schedule an appointment. This is not an emergency. If you suspect that a bracket or other piece of your braces may have been aspirated (caught in the airway), visit an urgent care center or emergency room; you will need immediate attention to have it removed. Similarly, if you experience a dental emergency including damage to your mouth or teeth, visit an urgent care center for immediate attention or call your general dentist. 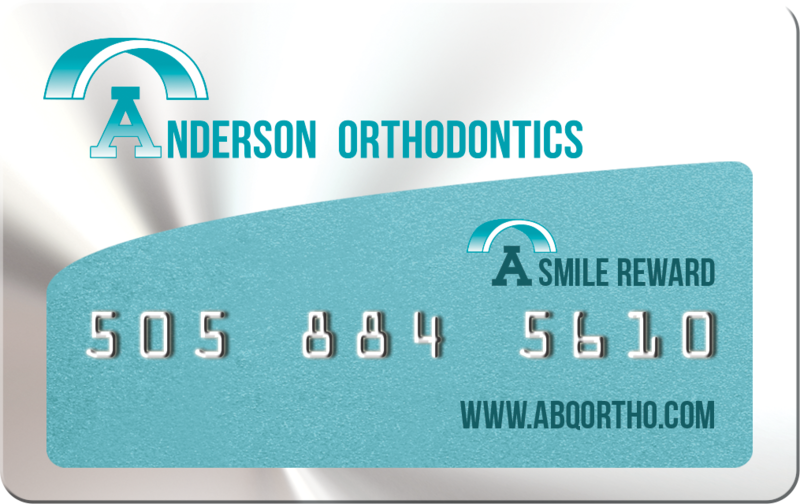 To see a video on what to do if you have an emergency, please click http://www.abqortho.com/video.php. Go to the bottom of the page and click the PLAY button. Select EMERGENCIES from the drop down menu, it will automatically play. If you are experiencing minor discomfort, click the same link above, click PLAY, and select MINOR DISCOMFORT. At any point in your treatment, if you have questions, don’ t hesitate to give us a call at (505) 884-5610. Our goal is to provide you with a terrific smile. And, just as important, to be sure you are comfortable and safe throughout the course of your treatment.